Layfield’s featured products for aquaculture are our Enviro Liner and EPDM geomembranes. Enviro Liner has been tested for fish safety and is suitable for most applications. EPDM is the most common liner material for small fish ponds and works well in larger aquaculture applications. 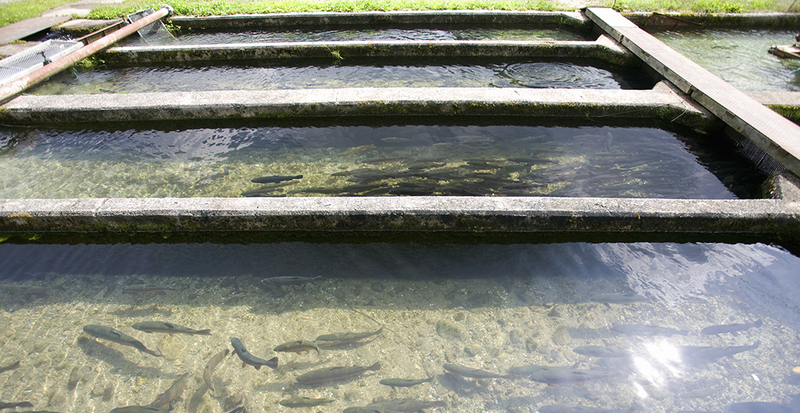 Raising fish and other aquatic species in lined ponds is a growing use for geomembranes. The key to the success of these aquaculture applications is the selection of a suitable geomembrane that will not harm the fish. Different species of fish can be sensitive to different aspects of a geomembrane including ingredients, color, and the design of the impoundment.